Super Eagles trio of Samuel Chukwueze, Henry Onyekuru and Victor Osimhen were all in an impressive scoring form at the weekend as monitored by Eagles in Europe, EiE. 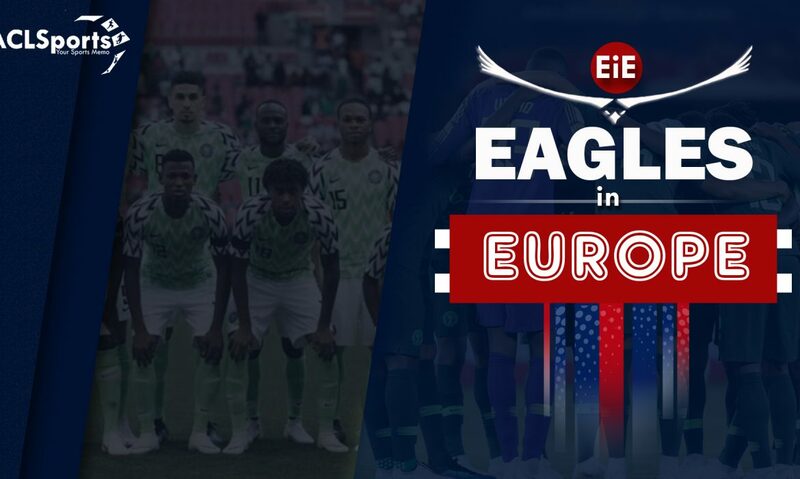 EiE recaps their performances and those of other Super Eagles players in Europe, including a forgotten player making waves in Turkey. Let us kick off with a trip to Spain, where Chukwueze’s brilliance led his LaLiga side, Villarreal, taking all three points at Girona on Sunday. Handed a central attacking role, the 19-year-old repaid his manager’s trust with a match-winning display as he shone like a diamond in the sky. Chukwueze netted the only goal in a 1-0 win at the Municipal de Montilivi, and also was at his creative best as fashioned out two scoring opportunities for his team mates, and completed three take-ons. Staying in LaLiga, Moses Simon and Levante were beaten 3-1 in Valencia with the winger coming off the bench to play for 21 minutes. Moving to Turkey now, where Onyekuru was another Super Eagles player who found the back of the net. He scored his 12th of the season for Galatasaray in a 1-1 draw against Fenerbahce. Onyekuru, who was booked in the game, towered above former team mate and African champion, Victor Moses, to put Gala ahead but his goal only lasted five minutes as Eljif Elmas ensured the spoils were shared when he equalised for Fener. Youthful Chidozie Awaziem was in form as Rizespor defeated Goztepe 1-0 in the Super Lig. Awaziem won 100% of his tackles, one interception and four aerial duels to help Rizespor to a clean sheet. Another Super Eagles youngster who was impressive for his club is national U23 hero against Libya, Osimhen, who grabbed his 13th goal of the season in Belgium. Osimhen scored the winning goal as Sporting Charleroi defeated Westerlo 2-0 in the Belgian Jupiler playoffs. Elsewhere, new Super Eagles sensation, Paul Onuachu, was missing as Midtjylland saw off Odense 2-0 in Denmark. Onuachu was not listed for the game but his compatriot at the club, Frank Onyeka, made sure he was not missed as he scored for the second successive weekend. In Germany, it was a rare clean sheet for Jamilu Collins and Paderborn following a 4-0 demolition of Duisburg in the German second division. Collins played from start to finish, winning two tackles and four interceptions. Ligue 1 based Samuel Kalu was not available as Bordeaux were put to the sword at Saint-Etienne. Kalu missed his side’s 3-0 thrashing due to an injury. For Super Eagles contingents in the Italian Serie A, it was not an eventful weekend. William Troost-Ekong picked up a booking as Udinese fell 1-0 in Rome to AS Roma, while an Ola Aina-less Torino managed a 1-1 draw at home to Cagliari. This week’s EiE review ends with a trip to England, and of course, that bonus section. Leicester City’s mini-unbeaten run has been snapped, with Wilfred Ndidi putting in an average display. The Foxes were defeated 1-0 by a spirited Newcastle United side with Ndidi on the pitch for 72 minutes before he was substituted. His compatriot at the club, Kelechi Iheanacho, was a second half substitute, and played for just 18 minutes. At the Amex, Brighton and Hove Albion were thrashed 5-0 by Bournemouth without their Nigerian defender, Leon Balogun, who was not even listed for the tie. In the second tier competition, it was a share of the spoils as Oghenekaro Etebo‘s Stoke City hosted Semi Ajayi and Rotherham United. Both players featured from start to finish, but it was Ajayi who ensured both teams shared the point when his decisive pass led to the equaliser for United. For John Obi Mikel and Middlesbrough, it was the end of a horrible losing run as they beat Hull City 1-0 at the Riverside. Mike featured for 90 minutes. Ignored by Super Eagles selectors, Nwakaeme is going about his business in a quiet and impressive manner after another superb display for his Turkish side. The 30-year-old wide forward assisted the only goal as Trabzonspor beat Bursaspor and Shehu Abdullahi, who was an unused substitute, 1-0. Nwakaeme has now scored or assisted at least a goal in each of his last seven matches for Trabzonspor.